Over the past year I have learned a lot about the people behind the situation. 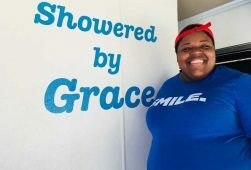 I started to volunteer with Showering Love helping those that wanted to be graced by “Grace.” You see Grace offers the folks experiencing homelessness a nice private personal experience… a hot shower. A sense of dignity and respect covers them as they leave “Grace”. A clean body with fresh clothes.. ahhhh. We know how that feels when coming home from a camping trip or experience the remnants of a hurricane losing electricity for a week or so. We make a game of it. Games by candlelight and grilling out, cooking up all our food with neighbors and friends to pass the time. All of this, knowing that it is temporary. We can make it through because we can see the light at the end of the tunnel the whole time. 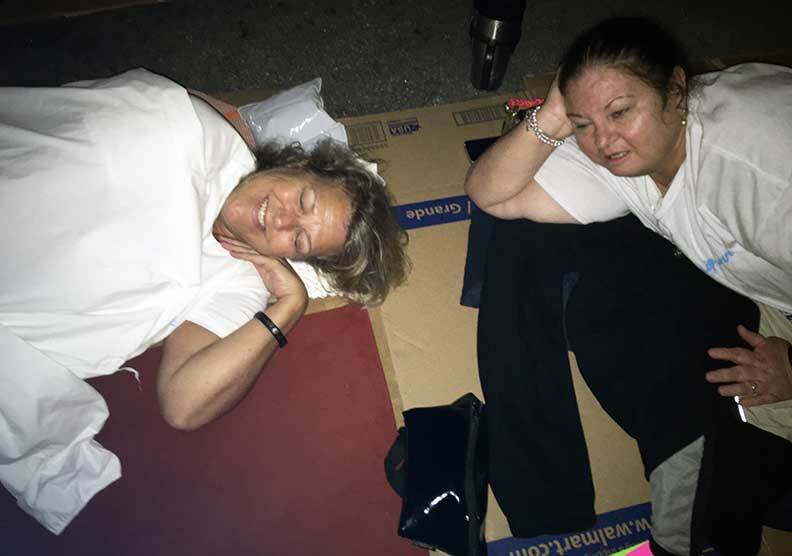 My night of experiencing homelessness was just that…temporary. Just a glimpse of what it could really be like. I knew that going in and hoped for an understanding of what is endured by people facing this challenge. Our night started out with a celebration with many joining to commemorate “Grace” and Showering Love’s efforts at giving back to the community in such a grand way. 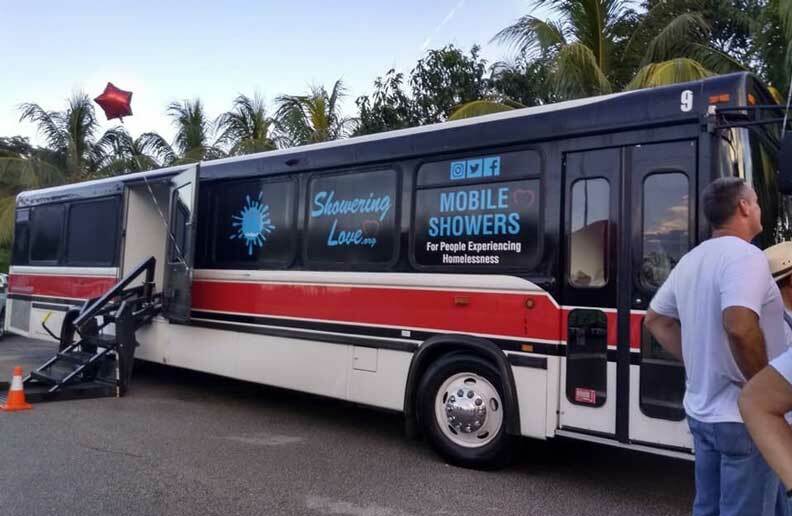 Jeanne Lewis Aubaugh, CEO of Showering Love, has worked so hard to keep her memories of being homeless alive to help those in need. After the food and awards, many friends left. Not to pass judgement but they weren’t going to sleep out. That’s okay for whatever the reason but at the end of the day only about two dozen made it through the night. So it begins, we all find a box (many hunted for them days prior as it was hard to find). We strategically located our sleeping place for the night. I did not want to be near the fruit and there was rotting fruit all around…I figured there would be rats and I positioned myself somewhat in an interior spot. Shortly after settling on the concrete surface with only a box between me and the floor, I started to drift off to sleep. My sleep buddy nudged me and asked who was lurking around…there was a car with headlights and someone walking around the back. We got scared and asked some of the guys to check it out. It turned out to be a delivery worker from the farm. We didn’t know that and could feel the vulnerability of anyone or anything disrupting our sleep and security. Before long, the light sensor would come on and a fluorescent light would shine on all of us for about 5 minutes. This happened on and off all night never allowing anyone real consistent sleep. 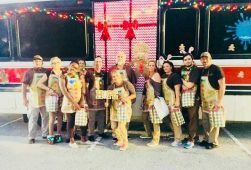 You see we were a community of people only a couple dozen and every persons need was shared with all of us glaringly by the turning on and off of the fluorescent sensored lights. 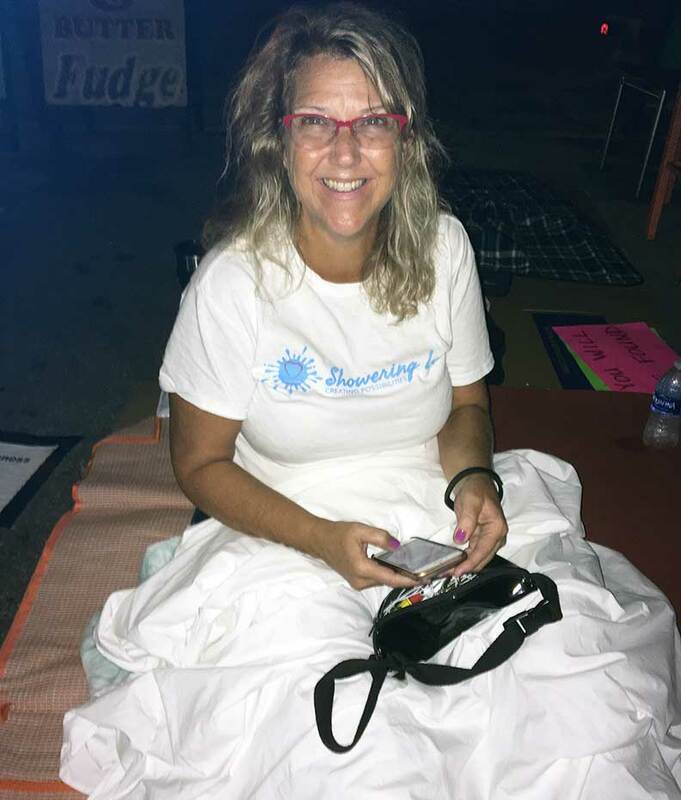 Throughout the night of experiencing homelessness, each time I turned from one side to the next, I ached tremendously…so much that I would moan. I am sure the guy next to me heard the moans and groans. It hurt, it really hurt to just lie on hard concrete. I only needed to do this for 7 hours! Then I could get home to my warm and cozy bed after a nice hot shower in my private bathroom of course. People came and went through the night, some couldn’t make it. Some were wanderers and some just needed to stay up and didn’t want or couldn’t lie on the concrete. I held my belongings tight as I slept a few minutes here and there worrying that someone would take what little I brought but was the world to me. It was temporary. In the morning, we all got up still dark out and I hobbled my way to “Grace” to relieve myself. The bus was off so there was no electricity…the whole time I was “scared” someone would walk in on me. They never did but the unknowing was fearful and I just wanted my privacy. My neck had a crick in it for 3 days and my body ached from the 7 hours of being in the open experiencing homelessness; vulnerable to the world. 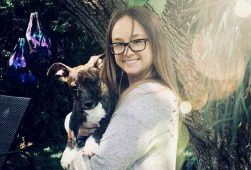 Overall, the experience was a glimpse of what it must feel like to not have a shelter or private space for security and doing your private business. I could only think what it would have been like if it had rained or we were hungry or sick? What would it have been like if we were alone and not banded as a group? What would it have been like if I did this day after day through the beating sun without my personal physical and emotional needs met? It would have been what many folks live through as a norm. I am humbled by this experience.